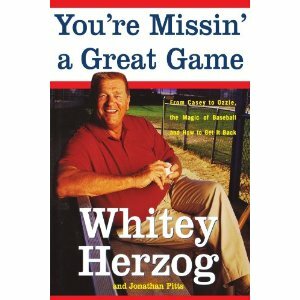 I always thought of Whitey Herzog as a happy, almost carefree guy. Now that I’ve finished his book, You’re Missin’ a Great Game, I realize that he is good natured, but he is also desperately in love with baseball, and righteously distressed about the way it is heading. In that sense, we are alike.